Let's face it, bankruptcy isn't easy, no matter what stage of life you go through it at. 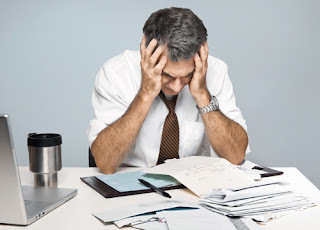 It's a stressful time when there are a lot of vying demands on your finances, but with over 1 million people in the US alone declaring bankruptcy every year, it is something that needs to be addressed. The situation can get particularly grim when you have your family's well being as well as your own to worry about. That is why you should read on and get some advice on surviving it, so you and your family can weather the storm and come out the other side. The base way to protect your family from bankruptcy is to avoid it with all your might. That means being proactive about your financial situation before it gets to a critical state. To do this stay in the black, pay off loans and credit cards, and ensure that the mortgage gets paid on time. Especially as you can pay up to $1000 dollars in fees on your mortgage if you do go into bankruptcy. To do this, it may be necessary to move some of your assets around, or even take on a second job to keep your family afloat during hard times. Luckily, it's pretty easy to find something that will pay that you can do from home on the internet. So you don't have to be away from your family or pay for childcare. Bankruptcy is a legal position that means your assets can be seized to pay for your outstanding debts. That can mean anything of value will be removed from you and your family. This can be particularly traumatizing for family members that don't understand why this is going on, or if items that they treasure are taken by bailiffs. Although you do need to remember that you are entitled to retain some essential assets including somewhere to live, a car if you need it for work and school and that sort of thing. So ensure that you don't give up more than you are required to, as this is likely to make your family's life much more unnecessarily complicated. 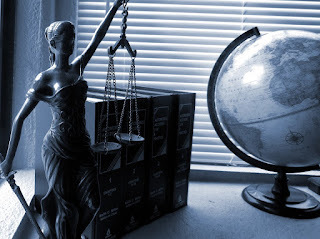 If you have any queries regarding what constitutes an essential asset, or with any other part of the process, it's best to consult a bankruptcy lawyer to get some advice. They will also be able to help you negotiate on what is classed as an essential item, something that can make all the difference when you are fighting to keep things your home during the proceedings. Lastly, don't overlook help from other sources when declaring bankruptcy. There are some great charities out there that can assist you with advice on what to do at each different stage. It can also be useful to reach out to your wider circle of family and friends and see if there is anything they can do for you. It may be something simple such as loaning you some money to get a cab to a job interview, or to stock up your food cupboards if things are looking a little thin. OK, sometimes this can be kind of embarrassing. So to help, try not to see it as charity, but as Community. Something that you will be happy to return when you are back on your feet.